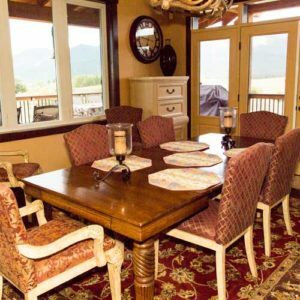 We are your quality home builders servicing the greater area of Polson, Kalispell, Whitefish, Bigfork, Swan Valley, Ronan, and Missoula Montana. Nelson Homes was established by Ryan Nelson in 2004 in Polson, Montana. Born and raised in the Mission Valley, Ryan and his wife, Lyneah, wanted to raise their family and build their business in the same beautiful place they grew up. Since the beginning Ryan has held to a few key standards; building with honesty, integrity, and quality, which he holds to today and is prevalent with every project. Nelson Homes has established a great team of carpenters and sub-contractors that also hold to the same standards that Ryan has built this business on. This group of individuals has allowed Nelson Homes to be confident in offering complete services to construct any and all kinds of projects to their customers. We aren’t just a business, we are a family, with a passion to help others bring their dreams and ideas to life. 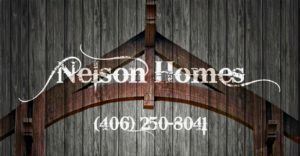 The Nelson Homes team is continuing to work on offering a great experience and build for whatever project you may have. We look forward to meeting you and starting this exciting process with you.